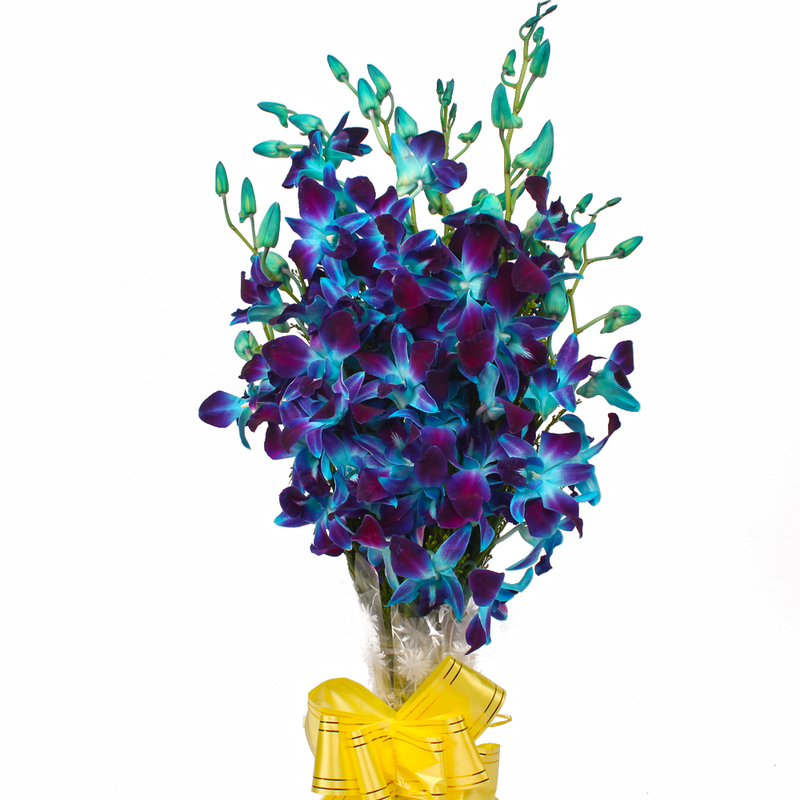 Product Consist : Ten stem of Blue Orchids with green fillers in cellophane Wrapping with Ribbon Bow on it. 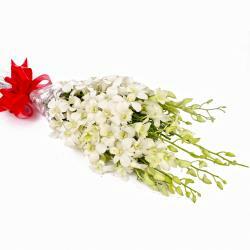 Wondering what is to give as gift that would be loved by all. 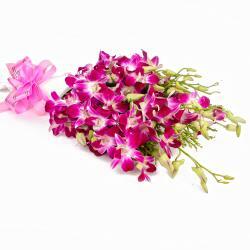 There is no better present than that of fresh, natural flowers. 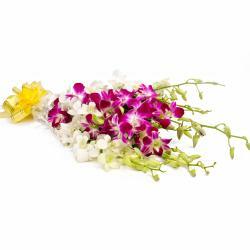 This bouquet contains Ten Blue Orchids look vibrant and will definitely convey your warmth and best wishes to the recipient. The Blue Orchids bouquet has been arranged in cellophane paper and a bow out of a matching ribbon has been tied around it. 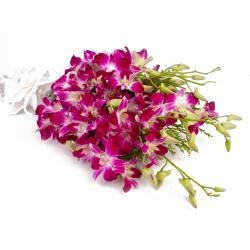 It looks elegant and is perfect to be given on Birthday, Anniversary, Retirement Gifts, Easter, Valentines Day. 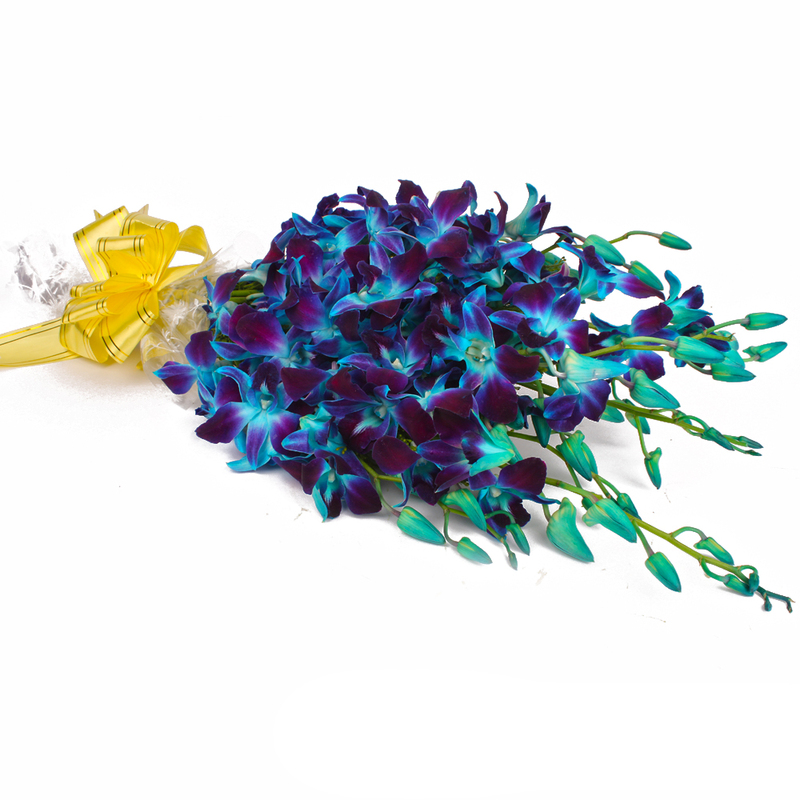 Product contains : Ten Blue Orchids with green fillers in cellophane Wrapping with Ribbon Bow on it.